The most pleasant, and shortest, route to Beinn Dubhchraig starts at Dalrigh, where there is ample parking, and you have good views toward the (rather distant) summit ridge. 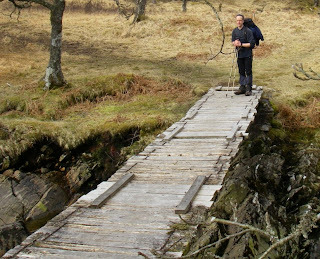 A rickety wooden bridge was our first challenge of the day – across Allt Gleann Auchreoch just above its confluence with the River Cononish. Slats are broken and missing, it has no hand rail, and adding spice, it bounces as you cross! 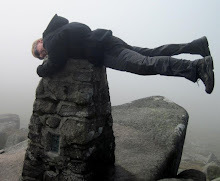 (if you are nervous find a way across stones in the river a little further upstream!). 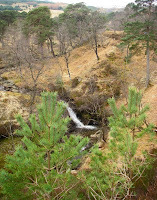 We now entered the beautiful pinewood known as Coille Coire-Chuilc, a remnant of the original Calendonian Forest. Several waterfalls add to the beauty of the trees. It's good to see natural regeneration, it would be a sad day indeed if we were to lose this gem through overgrazing by deer and sheep. 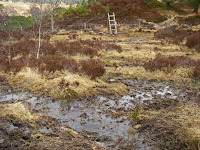 There are various tracks through the pines, some are very wet and boggy in places, but they all lead to a style over a deer fence. This ladder style is completely useless as half of it is missing and huge holes in the fence have developed. There's a splendid Gaelic word, bourach. It means an utter, hideous mess. 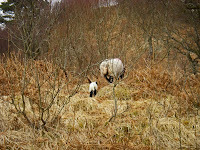 You can see from the picture that spring hadn't yet sprung in the upper area of the forest and this mother and lamb must have had poor pickings. Hope they don't nibble the emerging pine shoots! 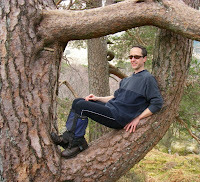 We thought we saw a Hobbit in Treebeard's branches, but on closer inspection, realised it was only David resting. 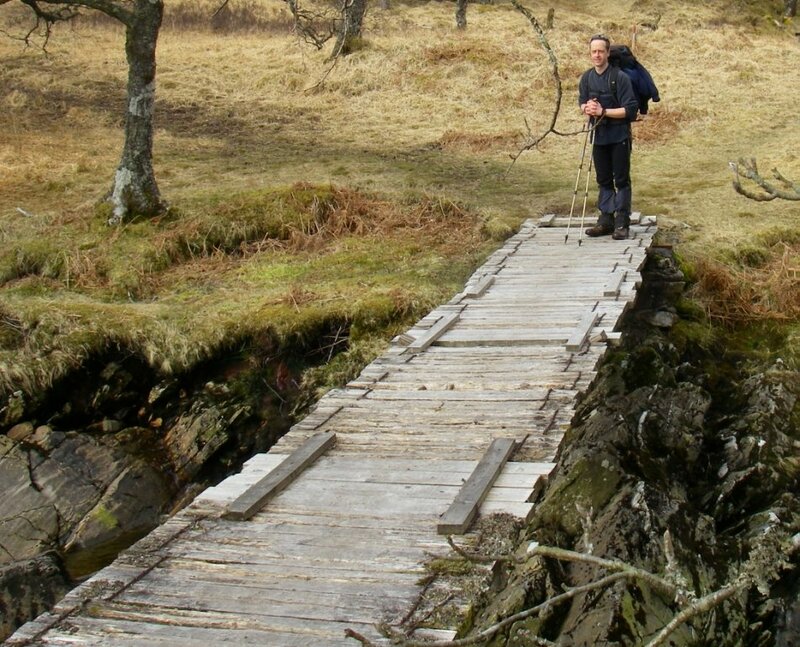 This route up the hill, although the path is saturated in places, is always pleasant, especially on a sunny spring day.